Summer is officially here, thus it’s time to switch up the hairstyles. I was asked by Weight Watchers® Ice Cream to create some unique tips celebrating the anticipation of the summer season. I couldn’t finish off this series without pointing out the top three trending FitHair styles I am seeing for this summer. I have seen a lot of long braided styles for many people who are working out. I love how a neat braid paired with a plunging v-neck mesh insert, and high/low hemline makes this style anything but basic. 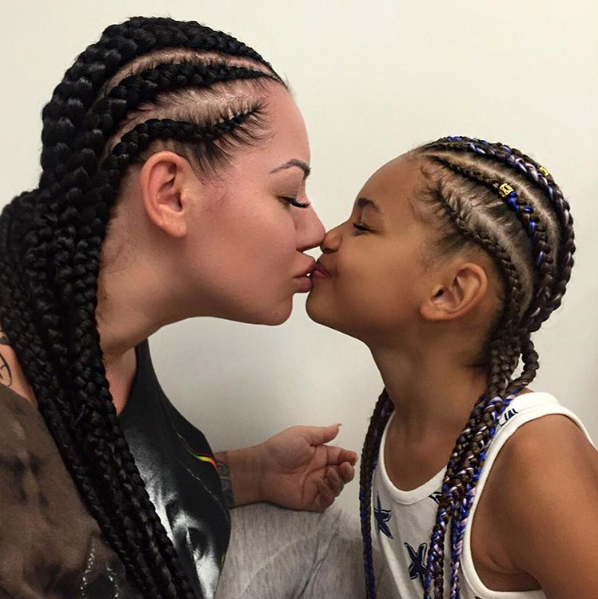 Cornrows are a popular hairstyle for 2016. It’s a perfect style no matter the texture, color, or age. On Instagram, @itselkethestallion shows off how cornrows can be worn and flossed no matter the age. This style is perfect for the gym because it stays in place and easy to moisturize and cleanse the scalp. This summer, embrace a beautiful and neat bun. From the office to the gym, a perfect sleek bun is here to stay, but jazz it up a bit by adding bangs or color to the front of your hair. In this hairstyle, I have my hair in a bun but left the front out, so it added some texture, color and layer to a boring bun. Perfect for post workout hairstyles. This summer, I have been rocking a lot of curls and buns. I love this hairstyle for hanging out at summer cookouts or just some great alone time on the patio. This summer make sure your having great fruits and enjoying lean meats, which are not only refreshing to your body but also your hair. Be sure to check out some of my favorite desserts, which help not only cool you off but also aid in hair growth. If DIY desserts isn’t your thing, then you can check out a few pre-made alternatives from check out Weight Watchers at your local Target and Walmart and grab a lower calorie and fat version of your favorite cold dessert.